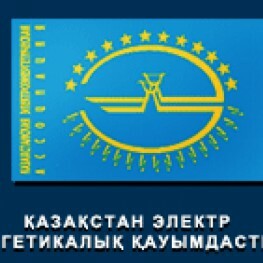 Kazakhstan Electrical Power Association (KEPA) — association of legal entities — is founded in January 7 in 1999 as non-governmental, non-profit organization. The main objective of Association — is coordination of activity and creation of conditions for fair functioning, and also representation and protection of common interests of subjects of electrical power branch of the Republic of Kazakhstan. Today to Associations are presented: the regional electric grid companies, the generation companies, the system operator, the operator of the centralized auction, the main branch research and design institutes, producers of the power equipment, Power Association of the USA, etc. KEPA plays a binding role in dialogue between representatives of branch and government bodies. For this purpose, Memorandums of cooperation with various government bodies were signed by Association. Now the Association is accredited in advisory councils on examination of normative legal acts of the Ministry of Energy and mineral resources, Agencies on regulation of natural monopolies, protection of the competition. Also representatives of KEPA participate in work of various working groups of state agencies. So participants of Association participated in development of “Electronetwork rules”, provided offers on changes and additions in the Law RK “About Power Industry”, “About Natural Monopolies”, “About the Competition”, and also in a row other standard and legal and technical documentation relating to branch. Under the auspices of KEPA issue of the trade magazine “Energetika I Toplivnye Resursy Kazakhstana” was resumed, “The power bulletin” where the main normative legal acts of branch are published is published information and the current life of association is shined. Information site on the Internet is created. For encouragement of employees of branch ranks — the Honored power engineering specialist of KEPA, the Honourable energy drink of KEPA, the Veteran an energy drink of KEPA and the Certificate of honor KEPA are founded. One of KEPA activities — this carrying out and participation in seminars, conferences and exhibitions. The Republican meeting of energy drinks on problem questions of development of electrical power branch is regularly held.